While Spring concludes the cold season, it also marks new beginnings, particularly in Japan as the financial year changes, students enter the next educational level or start working. 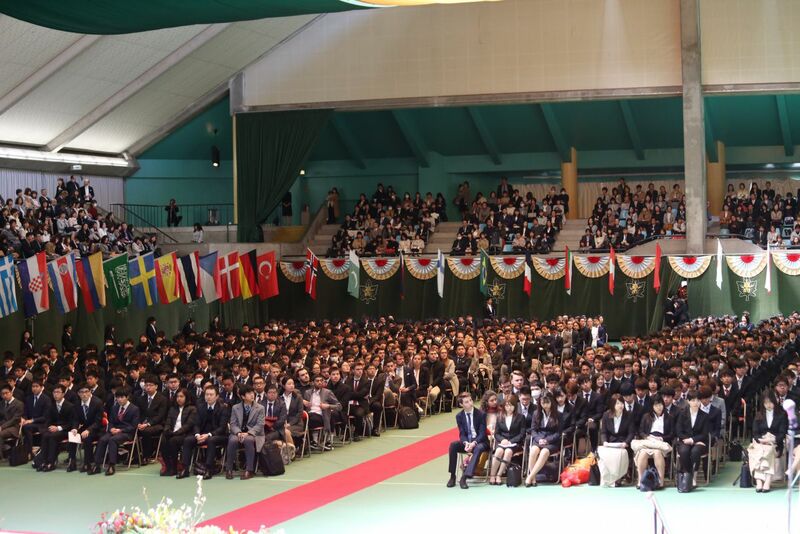 The 1st of April 2019 was a major event in the lives of those seeking business and management education as the Matriculation Ceremony was held at Nagoya University of Commerce & Business, with 756 students at the undergraduate level and 186 students at the graduate level. Higher education is often regarded as an essential pathway to adult life and will thus represent a significant period in their lives despite being only a small fraction of it, not only due to potentially having more doors getting unlocked for jobs but also for its contribution to personal growth. Indeed, throughout these 4 years, they will gain critical knowledge, experience and make new discoveries to broaden their minds as endless possibilities await them at the horizon. 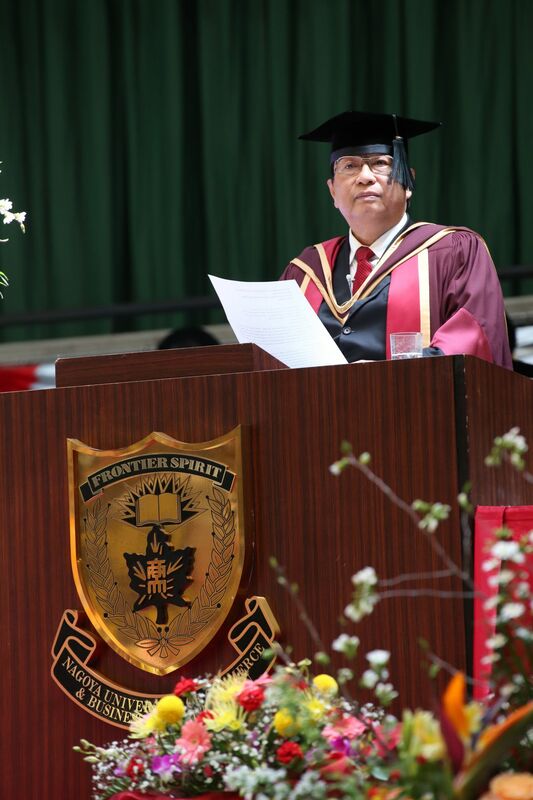 Our Chairman, Dr. Hiroyuki Kurimoto, welcomed all the new students and wished them all the best. 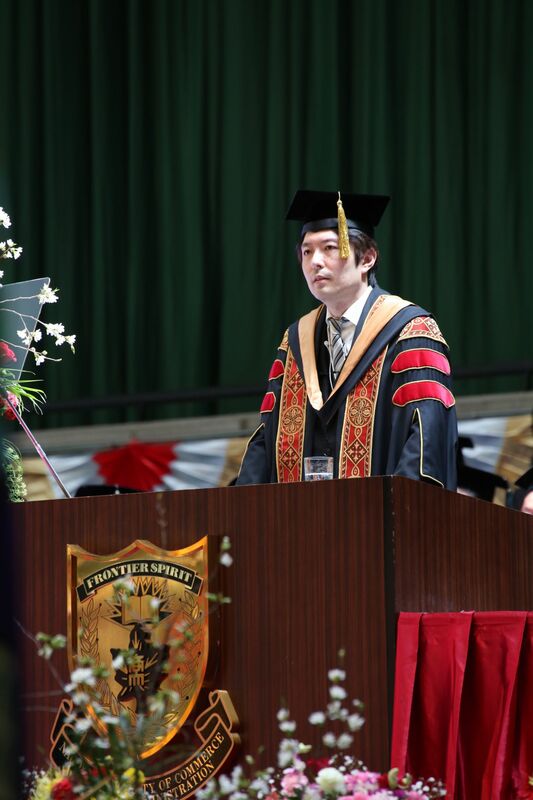 Based on the university's Frontier Spirit, he encouraged the students to spend their student life in more than 1 country by speaking more than a single language in order to prepare themselves for the constantly changing and globalized world that lies awake in front of them. 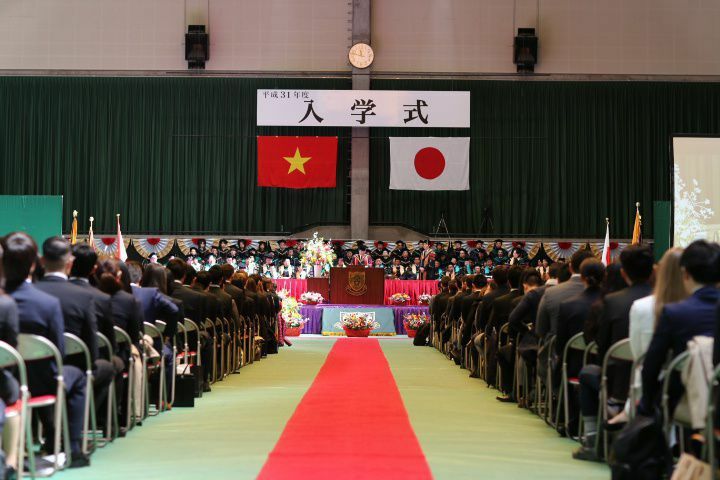 Dr. Võ Văn Sen, former president of VNU-HCM, from its University of Social Sciences and Humanities, was the guest of honor and spoke with great passion about the growing relationship between Vietnam and Japan, particularly with the younger generations seeking international higher education and starting to work abroad. At Nagoya University of Commerce & Business, we strive to make the students' life as international as possible by proposing them numerous international programs, whether it's to study, conduct researches, intern or volunteer, and also by exposing them to a multicultural environment amongst the students, faculty and staff. We are very happy to welcome all the students and wish them luck while we support them to make their dreams come true!